CA Syringe Filter - Sterile Syringe Filters | Simsii, Inc.
A Cellulose Acetate or CA syringe filter is ideal for biological applications and filtration of protein solutions. It is widely used for filtering alcoholic, aqueous, and oily solutions. Our CA filters are specifically built with the best features to optimize the performance and authenticity of a research application. 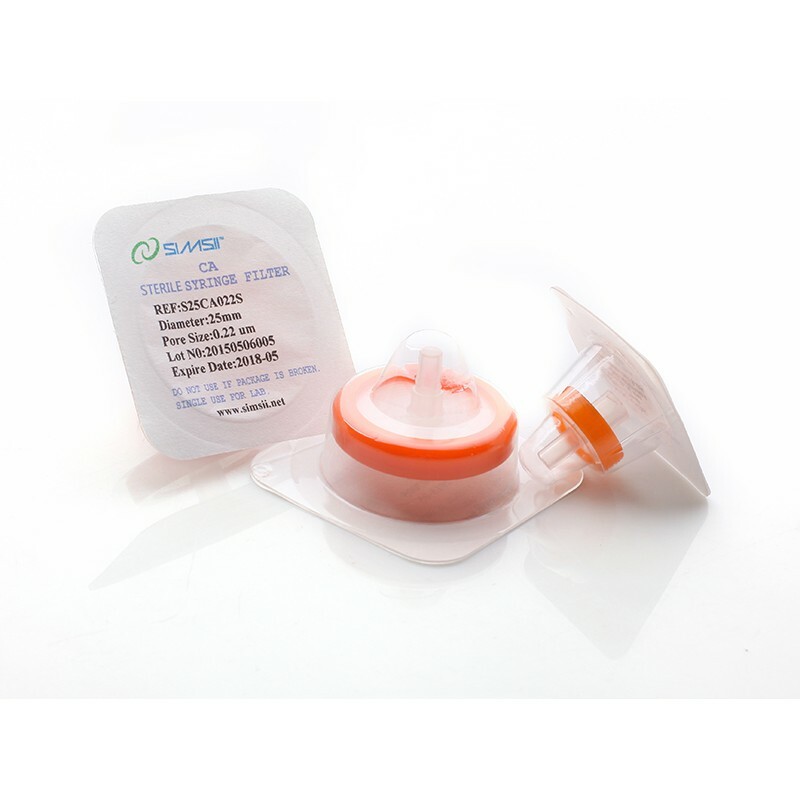 At Simsii, we have a range of CA syringe filters with a naturally hydrophilic membrane, low protein binding, uniform pore structure, effective cell retention, and high flow rates. You can use these filters to maintain stability against weak acidic and caustic solvents, fatty oils, and minerals. They are available with or without glass fiber pre-filter, a female Leur-lock inlet, and a male slip outlet. We follow international manufacturing standards. For more details related to this product, call us today.